FULL SERVICE FLORIST PROUDLY SERVING TROY MICHIGAN & SURROUNDING AREA!! These comments will go directly to Flower Shop Network. This is NOT a method of direct communication with DELLA'S MAPLE LANE FLORIST for the purposes of ordering or rectifying problems. Arrangement was beautiful and lasted a long time. Loved it! The wife was super pleased and excited to have it all week of her Birthday week. Flowers were beautiful, colorful, and very well put together. This is the 3rd time I have rec'd flowers and they have all been great. They seem to last a long time also. Beautifully done arrangement. The arrangement was for just a bunch or a special flower I like and you folks did an outstanding job. Thanks! Thank you so much for letting us know how pleased you were. We appreciate it so much, and its a great start to our day!! thank you for your positive review!! we appreciate it and work hard to get them. Always the most beautiful flowers. My wife loved them! Everyone at her job was so impressed. 2 weeks later the flowers are still looking amazing! Thank you! WOW, 2 weeks, that is awesome! and nothing makes you look better than impressed co-workers!! thank you for taking the time to give us this great review, we truly appreciate it!!!! My wife loved the flowers and they lasted a long time. Thank you so much, and we are glad to hear our flowers are lasting so long. we do a lot to secure fresh product as well as properly care for our flowers in the best way possible. thanks again for taking the time to let us know. I was very pleased with the selection. My wife was very happy. thank you for the great review, we appreciate it very much. they say "Happy wife, Happy life!" glad you send flowers to show her how much you love her!!! Beautiful arrangement! Received a call before delivery to confirm someone would be home to receive it. Thank you very much for the positive feedback! We really appreciate the time you took to write it, it means a lot. We are glad you enjoyed your gift of flowers!!! My experience was exceptional. The flowers arrived when they were suppose to and they were beautiful !! Thank you and we will definitely use you again!! Thank you so much for the positive review!! We appreciate you and the time you spent writing it, it means a lot to us!!! THANK YOU so much!!! Top notch. Have used several times you have nailed it every time. Great job! I called early afternoon to see if they could deliver that day and after she checked on driver availability and came back to take my order. When my recipient was not home, they redelivered to another location. This made for an unexpectant surprise even more. Such AWESOME customer service! and the flowers were spectacularly beautiful even for last minute! THANK YOU! My aunt texted me a picture of her arrangement and it was awesome plus she loved it! Touchdown!! Everything from the online ordering process to delivery was seamless. I'm glad I found a florist close to my grandmother's house. I will be a repeat customer, for sure! Thank you! I ordered from out of town not knowing your florist. The peace lily I ordered was beautiful. Thank you. thank you for letting us know! we appreciate positive feedback. Have a great day!! Dependable service and have alwasys been pleased with purchases. 5 stars the best a beautiful bouquet!!! They went above and beyond. The best florists ever. Highly recommend!! Adrianne was so very helpful. I was having difficulty with our website at Avondale HS and she took the order over the phone and said she could have it to the funeral home by 2:00 that afternoon. thank you for taking the time to give us this positive feedback! it really makes our day. Happy Holidays to you! You guys are AWESOME!! Every order I have ordered from your establishment has always been perfect and delivered on time. Thank you so much for delivering great surprises and memories to my wife. Flowers were exactly as expected and delivered in short notice. Five stars a the way! Very speedy! I appreciated not having to worry about delivery being on time. 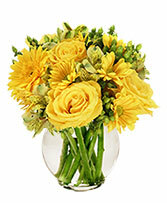 I ordered for same day delivery, flowers were delivered in about 2 hours and looked great. Very good service and arrangement(plant) was beautiful just like in pictures. Reasonably priced and local florist who's been there for years. Things I appreciate. Would definitely use them again. Very good customer service and can always be counted on! Excellent service and the products are beautiful. Very professional and cordial folks! Always order for mother’s day. Never disappointed ! Our recipient was very pleased with the arrangement that was delivered, although I did not see this myself. Thank you. I used Della's Maple Lane Florist for real flowers I needed for a cake I was making and was very thankful for all the help I received everytime I went into the shop. I will definatley be using them for all my flower needs in the near future. I called Della’s Maple Lane Florist to order an arrangement online. It was a beautiful arrangement and I wrote a review that I would use them again, and I did. Just as happy with my second order! Highly recommend! I love contemporary styled arrangements, especially Ikebana . My daughter new my tastes and found the right arrangement for my birthday at Della's. Just loved it !!! ordering on line was a breeze. arrangement is beautiful and much loved. i will continue to call DELLA'S MAPLE LANE FLORIST MY FLORIST. Della's Maple Lane Florist has been my Florist of choice for more than 10-years in having flowers delivered to my love ones in New Jersey. Thank you so much for taking the time to give us this awesome review!! we certainly appreciate it and will continue to do our best for you. Thanks again!!! Outstanding customer service. Anytime I need flowers for a special occasion I choose Dellas. They always deliver on time and make beautiful arrangements! Thank you! thank you so much for taking the time to give us this great review! We appreciate it, and, it really does make our day!! Very happy with arrangement. You never know what you’ll get when ordering online, but I am pleased with the order and if I need flowers in the area again I will definitely call Della’s! I enjoyed the experience! My friend loved the flowers so much it made her cry :) Thank you so much! thank you so much for taking the time to give us your review, we appreciate it so very much!!!!!!!!!!! Great online service and a beautiful arrangement for my daughter I sent them to her place of business and it made her day! thank you for the compliment and taking the time to post it!!! we appreciate it very much!!! thank you so much for taking the time to post this, we appreciate it very much!!!! on line ordering impossible. calling shop much better. arrangement delivered on time but not happy with it. order looked like missed matched colors. added flowers just to meet dollar amount spent. do not recommend this shop. We are so sorry that the arrangement was not up to our usual standards and your expectations. However, we are very thankful that you gave us an opportunity to make this situation right! We try hard to never disappoint our customers, but when we do, we will take that opportunity to learn as well as make it good again! there may be no tears in heaven, but here on earth tears were flowing freely when the angel was delivered. i can not thank you enough for your generosity. Della's Maple Lane Florist customer service IS the best i've ever encountered in my 61 years. may you prosper in this new year. once again, i thank you. Beau bouquet qui est resté fraîche plusieurs jours. Livraison prompte, y compris les jours fériés. Bravo et merci ! Not to sure what you said, but I am guessing its good with a 5 star review, thank you so much!!! The arrangement that was delivered on the 21st was absolutely gorgeous, and my mom loved it. "BUT", I had originally ordered in arrangement on the 18th and for some reason it never went through, so when I called my mom on the 18th to see how she likes her flowers, I was very embarrassed when she didn't receive them. Don't know what happened I understand that glitches happen but was very disappointed. Thank you for such a beautiful arrangement for a funeral this week and delivering it on time. thank you for taking the time to write us this great review!! We truly appreciate it. Wonderful service and flowers are exactly as pictured so they were gorgeous! Gorgeous arrangement. Flowers arrived on time before service. Thank you so much for the 5 star review, we appreciate it very much!! Thank you for taking the time to give us this great review! we appreciate it so much, thank you!! Happy with service and flower arrangement. On time and look great. Happy wife, happy life! thank you very much for taking the time to let us know, that made our day!!! I am assuming everything was great, and that makes us very happy. thank you for taking the time to give us the great review, we truly appreciate it very much!!! Beautiful arrangements & selections!! Love this florist!! Thank you very much for the lovely compliment! We try very hard to be the best florist we can be!!! My flowers were extraordinary!! Just WOW!!! I ordered online because I was out of state and my wife's birthday flowers turned out much better than pictured. She was blown away and when I finally arrived to be with her 9 days later the flowers still looked amazing and fresh. Wish we had a Dellas back in Virginia. Thanks do much for your awesome review!! People do say our flowers really last a long time, and I am glad that they do!! It makes us so happy to have happy customers and appreciate your time in letting us know!!! Thank you for letting us know that!! We appreciate our customers. The dozen long stem roses are simply beautiful... I received them on Monday (surprise!!) and they still look as lovely as they did then. You helped my husband make a wonderful impression on my work staff for sure :o) ... thank you for your quality work - I will certainly use you in the future and recommend you as well! Wow, thank you !! We try to get the highest quality flowers and roses. We also care for them in the best possible way that the floral industry recommends and it pays off when they last so long for our customers. Thank you for taking the time to give us such a positive review. We appreciate it very much and it makes our day!! The flowers were beautiful. They were delivered on time and lasted very long. My fiance was so happy! I will always order my flowers from you! Thank you. We try to get the highest quality flowers and roses. We also care for them in the best possible way that the floral industry recommends and it pays off when they last so long for our customers. Thank you for taking the time to give us such a positive review. We appreciate it very much and it makes our day!! Thank you very much!! Everything I have ordered from you has been delivered on time and just simply gorgeous!! Beautiful arrangement! And thanks for delivering on mother's day. Great service and so easy to order online! Flowers were delivered same day and were beautiful! 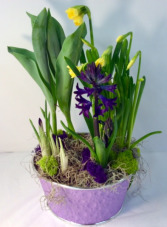 I live in grand rapids, originally from the troy area and love dellas florist. There my go to when I need flowers delivered on that side of the state. Can always count on them, for speedy delivery, beautiful flowers and great customer service. Wow!! Thank you for that awesome review and we appreciate it very much, You made our day!! This is the second time I order with Dellas and amazing customer service as always. I'm so thankful for them. I ordered flowers online on mother's day and they delivered them within 2 hours, the arrangement was sooo beautiful, my mum loved it. Thank you so much. The cement angel plantar with the ivy and orchids was absolutely beautiful! Thank you so very much! Gina, Thank you so much!! The angel wing planter is very popular and you see why, it's a great gift!! We are so happy you loved it and appreciate the positive feedback. Thanks again!! The arrangement was beautiful and ordering was a breeze! Thank you James, we appreciate the positive feedback!! Thank you for taking the time to let us know! We appreciate the positive feedback very much!! The angel orchid planter was really beautiful, thank you. Thank you so much for taking the time to give us this great review. We really appreciate it and try very hard here at Della's to make all of our customers happy. Ordered daffodils and got yellow tulips instead. When I called, they said daffodils were out of season, but they should have called before delivering. What a waste of $50; the yellow tulips didn't even look nice, and only lasted a couple of days. We are truly sorry our substitute did not meet your expectations. Our website always states availability may be limited or substitutions may be necessary. Typically this is never a problem. We did give you a full refund on this order. So if they only lasted a couple of days, we must have let you keep the arrangement? I apologize about the whole thing and forgive me if I don't remember the exact details. Have a nice day. I understand from the flower recipients that they were lovely. My only complaint was that the email stating they had been delivered came a week late, thus making me think I had ordered them for delivery later than I really had...was just very odd. sorry about that, we got really bad after Christmas marking our deliveries delivered. We had short staff and all were tired from the holiday, not that that is any excuse, but we do put a lot of effort into everything we do, but I guess not that as much. Again we apologize for making you feel that way, the fact that you pointed it out that way makes me want to make sure we are more diligent in that area. thank you for your feedback. The arrangement was absolutely stunning. Flowers delivered on time, same day. Unfortunately however, they were in poor condition and seemed already quite wilted. For $90 I expected something a bit more fresh. After only two days, the arrangement had to be thrown out. Thank you for the kind offer. I'm sure my wife would enjoy fresh flowers. I've been going to Della's for years and have never been disappointed. 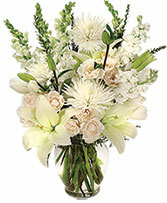 Flowers are always fresh and beautiful and the staff is friendly and helpful. Thank you Bill for your lovely review. We appreciate knowing input from our customers!! Thank you for taking the time to give us the positive feedback, we appreciate it so very much!! We strive for a quality product at a fair price. thanks again!!! The Flores arrived on time and were beautiful according to the person who received them. I was very happy with Della's Maple Lane Florist. 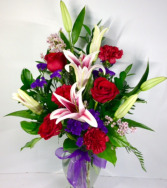 It was very easy ordering from the website, and the arrangement was absolutely beautiful and delivered on time. Thank you very much. I will definitely order again. Excellent service. It was very easy to order a sympathy arrangement. You took good care of us and the flowers were beautiful. thank you so much for taking the time to let us know, we appreciate it so much!! I am a regular with Della's. I got my wedding flowers from them twenty years ago and have been using their services ever since. I have never been disappointed. I just had flowers sent to my niece out of state. She sent me a picture of what she received and they were even prettier than the picture I ordered from. The arrangement arrived when requested and the greens and flowers were all very fresh and beautiful! This is by far the most beautiful bouquet Ive ever had delivered. I wish I had discovered Della's sooner. Thank you. I'll spread the word???? Absolutely beautiful flowers. Even at 4 days, the flowers still look absolutely beautiful. Would highly recommend. The order online was simple, efficient and easy. The flowers were delivered during the time frame requested and the flower arrangement, balloon and the card that the message was printed on were wonderful and beautiful. Thank you so much. I made the order in Canada for my mum's birthday, so it was perfect! Keep up the excellent customer service. thank you so much for taking the time to let us know that you were happy with the arrangement! It means a lot to us!!! Great selection, website, and delivery as promised. Thank you. thank you for your compliments!! We appreciate you taking the time to let us know!! Have a great day. My second time using Della's. Have ordered online and over the phone. Great experience both times. Thanks! Thank you for the positive review. We appreciate you taking the time to write and let us know!!! Hearing positive feedback makes us so happy to do what we do! thank you again! Better than expected and very impressive. Thank you for always being a business I can trust with important events. Awe, thank you so much for the terrific compliment. We appreciate you taking the time to let us know. Have a wonderful day!!! My daughter absolutely loved them,she said they were beautiful. Thank you so much. thank you for taking the time to let us know! We appreciate the compliment and value your business. Have a great day! Thank you very much for taking the time to let us know!! We appreciate that very much!! Have a great day. thank you so much for taking the time to let us know!! We appreciate positive feedback very much. have a good day and thank you again!!!! The arrangement was spot on! My daughter received the arrangement on the same day I ordered it and said it was beautiful! She still has the arrangement and it looks fresh and "happy" as when it was delivered. Thank you, Della. thank you for taking the time to let us know!! We appreciate that very much!!! Great job. Flowers were beautiful and delivered within a couple hours of when I ordered - on a Sunday! Thanks. The bouquet was okay. It definitely was NOT worth what I paid for it. Very happy with the delivery service and timing. Unfortunately, I do not see myself ordering flowers from here again. Thank you very much Kris and Brian. All the flowers were beautiful. The arrangements were outstanding. The casket spray and standing spray were exquisite. The colors were a perfect blend. I greatly appreciated all your assistance and kindness. You made everything so effortless for such a difficult time. Thank you Doran for personally delivering all the flowers. OH MY GOODNESS!!! thank you Sandra for that lovely review!! You were a pleasure to help and this is what we do, make beautiful flowers! I appreciate you taking the time to tell us how we did. Easy ordering and prompt delivery. Will use this florist again. Beautiful flower arrangement! Everything was fresh and well packaged. Decided to try a local florist after a horrible experience ordering from a nationally known florist. I shared with Brian my need for the flowers to be delivered the following day. Brian, and his team, made sure they arrived, as requested. We we were told they were beautiful. They also stayed in contact, via email, with status updates throughout the day. Thank you!!! Great flowers and fast delivery. Thank you so much for taking the time to let us know, we love positive feedback!!! thank you again! The arrangement was beautiful! Delivered at just the right time for Thanksgiving celebrations! I am very happy! Thank you so much for taking the time to let us know, we love positive feedback!!! glad you are very happy, that makes us very happy!!! thank you again! I had them sent to my Grand-daughter. She absolutely loved them. Very very cute. I will order from you again, when needed. Thanks Kris, my wife loved her flowers. Say hi to the Nathan's for me. I placed an order THAT morning and they delivered the flowers that afternoon. They were gorgeous! The recipient was so happy and grateful. It was perfect. I love Della's as they are always so willing to please the customer. I've been going there for years and will continue to do so!! Thank you so much for the kind words, we try very hard to please our customers, we appreciate you taking the time to let us know! This happens more than you know, but we do all we can to get the flowers to the correct address!! This is why having the recipients phone number helps in this case. Thank you for letting us know that you appreciate our extra efforts! It means a lot to us!!! The delivery was within a few hours and the lavender roses were gorgeous. Thank you for your kind review, we sincerely appreciate the time you took to let us know! Thank you so much for taking the time to let us know how happy you are, It really means a lot to us!!! Thank you so much for taking the time to give us a positive review! Great website - was delivered on time. Thank you for taking the time to let us know that you were happy! We appreciate it very much. thank you for taking the time to let us know, we truly appreciate that! thank you for taking the time to let us know, we appreciate it!! The planter was gorgeous! It was the third time I have ordered this. So worth it. Thank you so much for taking the time to let us know! We appreciate you. thank you for taking the time to let us know!!! I usually shop in store and get really fresh flowers at a great price love this place and i just used their website for the first time had a great experience so i really recommend Della's to everybody. Thank you so much for taking the time to give such a lovely review to our shop!!! We appreciate your business and work hard to make our customers happy! thank you so much, we appreciate the positive feedback! And by the way, you made Amy's day! Thank you Kris & Megan, the flowers you sent over are beautiful and fresh! Was not necessary, but appreciated - very classy of you. Definitely recommend Della's! The arrangements that I received were beautiful. Flowers were fresh and the delivery people were very friendly. thank you for the 5 star review!! I was very pleased with the service and the flower arrangement. Always a pleasure doing business with Della's! They didn't have azalea plant which ordered, but a lady called just an hour later.. The plant sent was beautiful! Thanks for your help! sometimes we don't have everything in our website in stock, or it does not meet up to our quality standards (azaleas have not looked very good lately) thank you for allowing us a second choice, we would rather call you, so in the end you will be satisfied!! The flowers were in beautiful shape. The arrangement and colors were gorgeous. thank you for taking the time to give us your positive feedback!! We were very pleased with the flower arrangement and the service. The flowers arrived on time and were beautiful. We have used Della's before and will do so again. Patricia, I am horrified at the lack of attention to detail from the 2 employees who made and wrapped your order for the wrong delivery date!!! Our business is all about timing and details and I truly apologize for this mistake. There is no excuse and we will strive hard to learn from this mistake. Nobody is perfect, and mistakes happen sometimes, but when it happens to you, it is not nice. I will be calling you to see how I can make this better!! It was great service, and the recipient said the flowers were beautiful. Thank you very much! Flowers were beautiful! They were perfect for my daughter, lots of pink in a pretty white basket. She was grinning from ear to ear. I also appreciate that the delivery person called and left a message that he was leaving the flowers on the porch as we were not home at the time. Great service! The funeral flowers, ordered via website, were lovely. I'm impressed with the website, how easy it is to navigate and order, after which a delivery confirmation is sent! Also earning highest marks was that this order had to be done within 24 hours--very efficient. The arrangement was very nice and was delivered on time. This was the first time I have used this company and would recomend it to anyone who needs a flower arrangement. Very helpful and professional. We will do business with them in the future. The recepient of this arrangement was very happy! Thank you. The casket spray was beautiful and delivered on time. 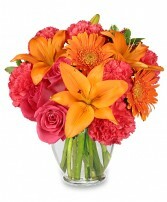 I have been ordering from Della's for years, flowers are always beautiful and delivered when requested. I have ordered by phone and on line, either way is easy. Easy online shopping experience for a funeral. I was very pleased that the store contacted me right away for a substitute flower since they did not have any that were specified. I rec'd flowers from someone at work from you in September, and could not believe how beautiful and "fresh" they were. They lasted a little over 2-1/2 weeks ! I also ordered flowers two weeks ago from you, and the same....absolutely beautiful arrangement. Will definitely use you again. The flowers were very nice will use this place again. Flowers are beautiful and have lasted a long time. I called saying what I could spend and gave the creative license to Della's. The result was one of the most colorful, creative, and diverse flower arrangements I've purchased. Definitely 5 stars! The ordering process couldn't be easier. The deliver was timely and the flowers were lovely. Brian helped us and his sincerity and experiance were so helpful.Fabulous ! Exceeded our expectations!! Great Job. Exceeded our expectations. Buy with confidence. I've used your shop for a number of years, and have always received "top notch" customer service. Great job! I use to use a very expensive florist and was very disappointed many times. I now used Dellas Maple Lane Florist several times and will never use any other florist. They do exactly what you ask and I am very detailed and fantical. Everyone just loves the angel statue arrangement and I have used it several times and each time I get tons of compliments on it. Thank you Dellas Maple Lane Florist! My mom called me the day the flowers arrived...the word she used to describe them was "exquisite". Thank you!! Beautiful flowers and arrangement, they lasted several days. they were beautiful and still are! And it will be a week tomorrow....quality roses! Thanks! Thank you for the great customer service. The flowers were for a distant relative and the details of the hospital stay were difficult. I appreciate your repeated efforts to make sure the arrangement was delivered instead of just being left on their porch and the constant communications of your efforts. Great job! The Flowers for my daughter, however the picture i received they were perfect. I will use Della's Maple Lane Florist again. I bought a funeral arrangement on line. It was delivered to the funeral home quickly and was more beautiful in person than what I saw on line. Completely satisfied. My florist of choice; 5-stars!! What a beautiful bouquet!!! My wife loved them. You guys rock!! My order was delivered on and time without any problem. The flowers were much prettier in person than in the picture. My friend received them that day as I had hoped. As always, you delivered some great roses to my wife and she was VERY happy to receive them so quickly. I'll continue to use you for my flower needs as it keeps her pleased which makes me pleased. Thank you for such professionalism and easy to use website. I have been buying my flowers from here for as long as I can remember.I love to stop in just to browse whenever I am in the area. They are knowledgeable,courteous and extremely talented. I have never been disappointed in any arrangement and look forward to the seasons and what they show case all the time. THE BEST!! Beautiful prom, homecoming flowers at a reasonable price. Very helpful staff. Easy ordering! I ordered flowers as a centerpiece/thank you and they were absolutely beautiful. The person that received them really loved them. Brian at Della's was our designer for my daughters wedding four years ago. Brian knew exactly how to put the picture in our minds into beautiful arrangements for the wedding! The flowers were absolutely gorgeous! We were so satisfied that I have a second daughter who will have her wedding in August of this year and our appointment with Brian is today!! I used to live in Troy before moving to MI and used your store whenever I needed flowers. I was very pleased to be able to order directly from you while living in TX. My friends say the plant was beautiful. Thank you so much for being a florist I can count on! Della's Maple Lane has always been my "go to" florist!If you're not sure of what you want,they have the experience to figure it out and you will be impressed!Way to go Kris! Thank you! The flowers were very pretty and delivery was very fast:) Thank you again and I will continue to use your wonderful services! I was very impressed!!! Angel Planter was even prettier than the picture!!! And Della's Maple Lane Florist met all my special requests! I will now in the future only order from Della's Maple Lane Florist. And I will again order the Angel Planter! Thank you for such good service!!!! In today's world good service is hard to come by. The owner just took my order for my beloved aunt's memorial. So compassionate & easy to work with. We ordered a funeral spray online and it exceeded our expectations. Thank you. I appreciated the follow-up email letting me know it was received. The flowers were delivered promptly to the hospital, and were lovely. They looked just like the photograph. Was very pleased with all aspects of the service and the flowers were gorgeous! I'll use you again, and recommend you to others for sure. Thanks folks! Was very pleased and the flowers lasted longer than I expected. My wife was really pleased with the arrangement of the Jade Green roses she recieved. One of the reasons I picked this arrangement was because it was different from the "usual". The flowers were fresh and lasted quite a while as a whole. I still have four of the roses sitting in a smaller vase and they are now 14 days since delivery :) Thanks for a rewarding experience! I would certainly use Della's Maple Lane Florist again. Della's Maple Lane Florist is my florist of choice when ordering flowers. Ordered flowers online and they were not delivered on Feb. 14th. Called the florist and complained and they ended up delivering a full dozen, beautiful pink roses to my wife the following day for the same price. I would give them a five except for this slip up. Will continue to use them as my florist though. Job well done. This was my first time ordering from Della's but it won't be my last. I took a my own vase into their store and had a silk flower arrangement done in it. It is absolutely beautiful!! I would never consider useng any other florist for my floral needs in the future. Thank you so much to the entire staff for doin our wedding. Special thanks to Brian , he is an amazing Floral Designer! Arrangment was beautiful but alittle disappointed the Gerber daisy's did not last overnight. Della's Maple Lane florist contacted Lisa and replaced the gerbera Daisys for her, we don't want our customers or recipients to go away unhappy, thank you Lisa for giving us the chance to make this right for you! Della's really provides great customer service. Their staff is very nice and really go out of their way to make the experience very good. The flowers are beautiful and resonable priced. Thank you so much! Della's always provides beautiful flower arrangments. I loved the colors of the bouquet and the coordinating wrapping. Also was a timely delivery. Ordering was easy and flowers were beautiful. Ordering was easy & I was very satisfied with end product. Thank you for your commitment to service!! I LOVE that the delivery person called me on my cell, from my front porch. I was not home, and I asked him to deliver to my church, about 1 mile north on Livernois. He said he would do it!!! I was waiting at church for him, and he delivered there!!! I was shocked and surprised not only about receiving a beautiful fall arrangement, but also that he was able to go the extra mile, and deliver to another location. Thank you so much for your care and special touch!! AND the flowers are absolutely gorgeous, and will continue to last throughout this week and next, I'm sure!! I just wanted to take a minute and tell you about the wonderful service I received from Michelle 8/2/11. I wasn't sure what type of flower arrangement I wanted, but mentioned colors to her. She spent alot of time with me to make what I thought was the perfect arrangement for my friend! We talked about how she wasn't "officially" a flower designer (don't know the correct lingo for this title) And I couldnt' believe she wasn't. She was very professional, and talented. I think she deserves an upgrade in title! Not only was I delighted, but so was my friend! Your arrangement was beautiful! Thank you. THE FLOWERS FOR FOR MY PARENTS 64TH WEDDING ANNIVERSARY. THEY WERE LOVELY. THEY WERE FRESH, AND LASTED FOR DAYS. Thanky Thanky for all this good ifnromation!